EDTA tubes used EDTA(K2) and EDTA(K3) as anticoagulants. 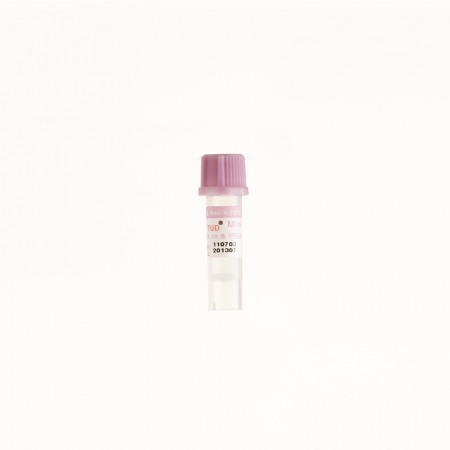 They are widely used to collect blood for clinical hematology examination and suitable for blood cells analysis and determinations of blood groups. Beside that, EDTA(K2) and EDTA(K3)was used for determinations of Anticardiolipin Antibody, Antiphospholipid Antibody, CD4 / CD8 , Full Blood Count(FBC), Full BloodPicture(FBP), HbA1C, Hb Electrophoresis, Kleihauer Test, Lupus Anticoagulant, iPTH, PCR(HIV), Viral Load for HIV. Intended Use : For whole blood hematology determinations.